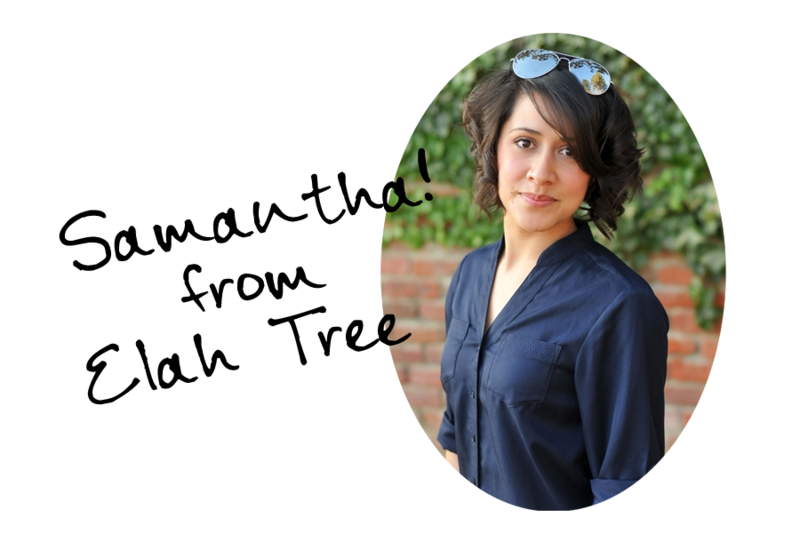 The Lady Okie: Happy August Giveaway! One thing I love about blogging is getting to know a lot of awesome ladies. There's such a great community in the blog world, which I know sounds crazy to anyone who doesn't blog, but it's true. I don't do sponsorships on this blog (if you want to know more about that you can read this post), but occasionally I like introducing you guys to some of my very favorite blog friends. I can't remember how I found Samantha's blog, but now it's a daily read for me. She super creative (check out her post on DIY photo backdrops and her vintage postcard mobile), and she has such a cute style. Plus she's so adventurous and willing to say yes to the unknown. 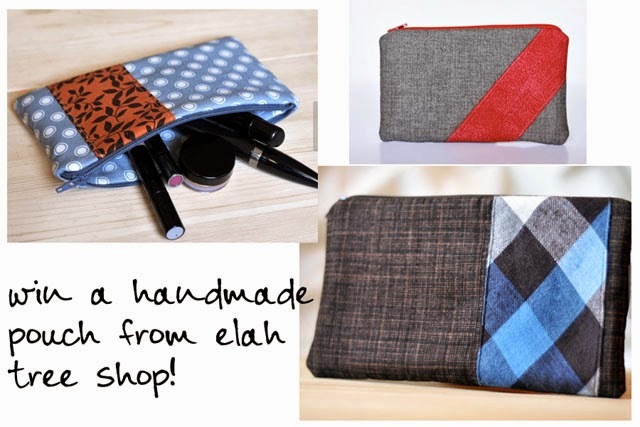 Today, I'm partnering with Samantha of Elah Tree to give away a little something from her Etsy shop! Remember the pouch I showed you in my "what's in my bag?" post? Well you can win one! You can choose a medium or small pouch from her shop in the color of your choice. If you want to order something for yourself or as a gift for a friend, use the code THELADYOKIE for 30% off your order! You can even ask her to make you a custom order. Code expires September 1. Check out her shop here. Enter using the giveaway tool below! *US residents only. Entries will be verified. So funny! This weekend a dog we're keeping while his parents are away adopting a baby (awesome!) ate a bunch of stuff... including my external hard drive and my pouch from Elah Tree! So I saw this and smiled! I love the one with the blue plaid! Love this pouch!!!! So stinking cute! This is a fun way to introduce others to your readers! Samantha is talented & her bags are super cute! First off, I love that you don't do Sponsorships. However, there are times that I sometimes forget that and think, wow, I would love to just throw some money at this lady! How do you feel if we just meet in the middle and I toss some change at your face? Second, I love this lady! Thank you for the introduction. The blogging world truly is an awesome community (I love that we basically just write for each other) and I love to expand my list of awesome ladies. Nice to meet you, Samantha! You know I adore that Sam girl!! She's the best! I just re-read your post on why you don't do sponsorships and even though I knew why, it was super refreshing to read again. :) And I love that you know and love Samantha's blogs! It's always fun to see some of my fave bloggers getting together and doing things like this. Yay! I love both you ladies! Cute and unique! I would love to have one of these! I need help organizing my purse...would love one of these! I love her pouches!!!! I got one from the big etsy swap and adore it! Cute! I need one of these so my purse will stay organzied! Too many times I'm digging at the bottom!